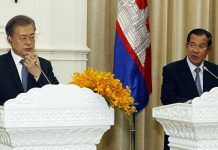 King Norodom Sihanouk has urged all members of Asean to accept Cambodia as a full member of the regional grouping at its Dec 15-16 meeting in Hanoi. “The Royal Government of Cambodia has faithfully responded to all matters of concern to the international community and that Cambodia now deserves its place in Asean the sooner the better,” the monarch wrote Dec 2 from Beijing, where he is receiving medical treatment. 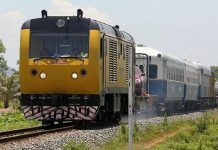 Some of Asean’s nine members have expressed concern about allowing Cambodia in this month, saying that the new government has not proven its lasting power. They have noted that the principle members of the new coalition government are the same as in the last one, which ended in bloody street battles in July 1997. Cambodia had been slated to join the grouping in mid-July 1997, but membership was delayed after fighting broke out. King Sihanouk wrote that Cam­bodia was always meant to be a member of Asean. 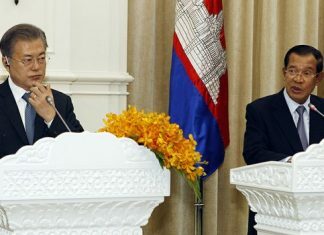 “To fulfill the vision of Asean Founding Fathers of establishing one family of South-east Asian Na­tions well known as Asean-10, Asean had agreed in principle to admit the Kingdom of Cambodia within the family once a new government had been formed as a result of the July 26 elections,” the King wrote. The monarch sent separate letters to each leader of the nine Asean countries, hand-delivered by Foreign Affairs Minister Hor Nam Hong to ambassadors Thurs­day at the ministry. Indonesian Foreign Minister Ali Alatas released a statement Thursday announcing that his country wants Cambodia to be awarded full membership next week in Hanoi. The statement praised the new government for its’ willingness to restore peace, stability and national unity. Philippine Foreign Minister Domingo Siazon said Thursday in Manila that Cambodia should finish forming a new government, in­cluding the new Senate, before being accepted. Creating the Senate re­quires a Constitu­tional change and is not expected soon. Cambodia’s Ambassador to Vietnam Nuon Sareth said at a press conference Thursday in Hanoi that Phnom Penh might boycott the Asean meeting if it is not assured it will be formally admitted.